Harry S. Truman once said: “There's nothing better than cake but more cake.” Whatever is on your agenda when visiting Poland, you need to make sure you taste a few Polish sweets must-have. The first on the list will be Polish doughnuts – pączki. If you join Wroclaw Food Tour or Warsaw Food Tour you will get to taste the best paczki in the city. Doughnuts go back as far as Ancient Rome, and in Poland, they have been made and eaten since at least the Middle Ages. The sweet variety of pączki that we can eat these days was first introduced in the 16th century. In the 18th century, yeast was first added to the dough, which made pączki fluffier and spongier. Pączki are always deep-fried in lard, but the addition of grain alcohol to the dough prevents them from absorbing too much fat. Pączki may be filled with a variety of fruit jams and marmalades, as well as other sweet fillings, such as custard, chocolate and coconut. The most typical filling is rose hip marmalade. Confectioners typically cover pączki with powdered sugar, icing or glaze. Pączki can be bought at most bakeries and pastry shops, but there are also special doughnut shops that make pączki on the spot and sell them straight from the frying pot. There is also a pączki related Christian holiday in Poland called Fat Thursday which is the last Thursday before Lent. The day marks the upcoming Lent period and it is the last opportunity to feast and eat lots of things that are “forbidden” during Lent. Pączki are the most traditional element of this day, and Polish people eat unbelievable amounts of pączki and other treats on this day. The most beloved Polish cakes that you may get at most cafés and pastry shops include apple cake, cheesecake and poppy seed cake. Polish apple cake (szarlotka) is different from typical apple pie. First of all, it is baked in a rectangular baking tin, and second of all, the layer of cake is a bit denser than in apple pie, there is a thicker layer of apples which are slightly softer, and there is a rich layer of crumble on top. It may (but does not have to) contain cinnamon, and it may be served with whipped cream, vanilla ice-cream and a dusting of icing sugar. 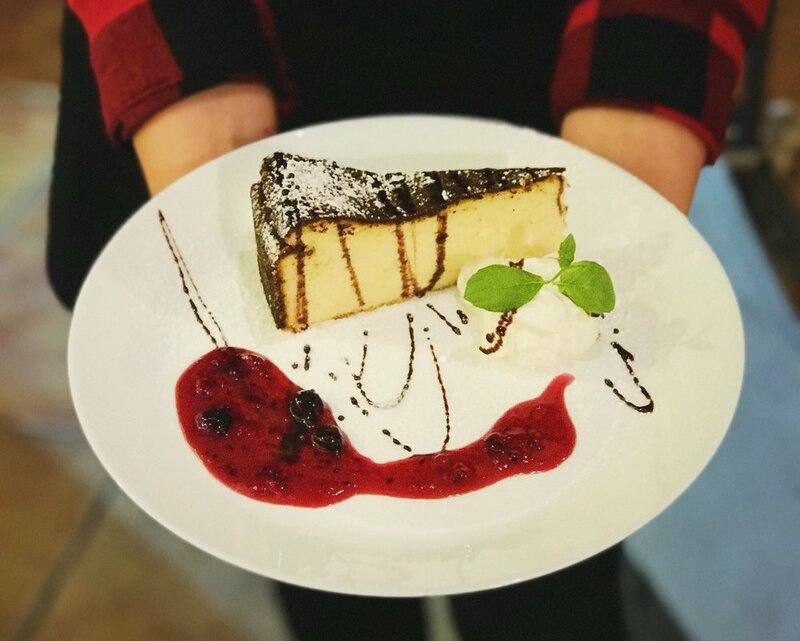 Polish cheesecake (sernik) is typically made from farmer’s cheese or curd cheese and it usually has a thin crust base. There are many varieties of Polish sernik, including more modern ones that feature cream cheese instead of farmer’s cheese, but only the age-old recipes guarantee the traditional and unique taste. Among sernik lovers, there has been a long-standing argument whether raisins should be added to it or not. You may think about it and make up your mind when ordering a piece of cheesecake at a café one day. Polish poppy seed cake (makowiec) is a typical holiday cake. It has been traditionally prepared for special occasions, such as Christmas, Easter and other holidays. It was believed that eating poppy seed on Christmas Eve would bring happiness and protect the family from evil forces. Moreover, poppy seed signified abundance and fertility, as well as it was considered a plant that enabled people to cross the boundary between life and death. Makowiec is a strudel-like cake with a thin layer of pastry and a thick layer of finely-ground poppy seed mixed with nuts, honey, butter and raisins. If you are not lucky enough to come across typical makowiec at a café or a pastry shop, you may go to a bakery and get a sweet roll with poppy seed filling and get an idea of what the poppy seed mixture tastes like. Talking about sweet rolls (drożdżówki), they are another must-have. If you go to any bakery or pastry shop, you will definitely get a chance to choose from among several different sweet rolls. The most typical Polish sweet rolls are made with poppy seed, sweet farmer’s cheese, blueberries, custard and seasonal fruit (most commonly apple, plum or strawberry). They are made from yeast dough and they are either glazed or sprinkled with icing sugar. Another iconic pastry is the so-called Papal Cream Cake (kremówka). It is a cream pie made of two layers of thin puff-pastry with a thick layer of whipped cream, buttercream or vanilla pastry cream in between, and it is usually sprinkled with icing sugar on top. The name of this cake is connected with Pope John Paul II. When visiting his home town Wadowice in 1999, the Pope mentioned that he loved this cream cake and as a school boy, he would always buy it with his friends at a confectionery shop located at the town square. 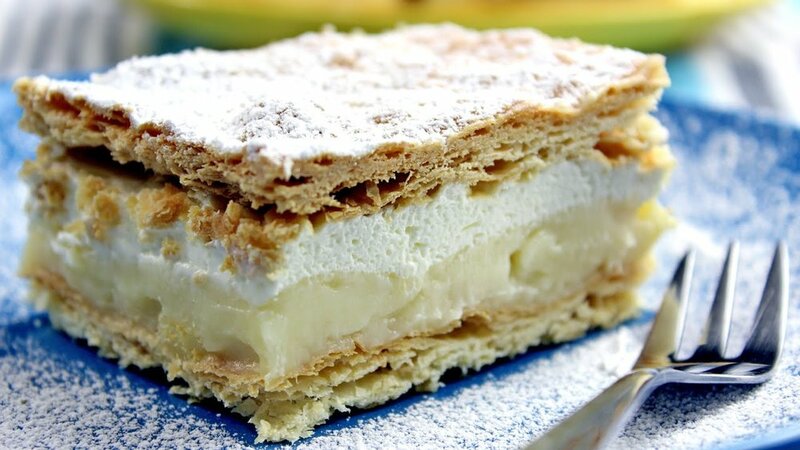 After this reminiscence, the cream cake got its new name and it has become widely popular in Poland. Another name the cake goes by is Napoleonka. At traditional Polish restaurants and in some milk bars, you may come across a sweet dish called racuchy. They are mini pancakes made from yeast batter, typically with pieces of peeled apples. They are fried in a pan and served with icing sugar on top. Despite being sweet, they are not only served as dessert. In Poland, a sweet dish such as racuchy may be served as main course or supper as well. - Toruńskie Pierniki – traditional Polish gingerbread produced in Toruń since the Middle Ages. First mentioned in 1380, they are still widely popular and they are considered to be an icon of Polish cuisine. - Krówki - Polish fudge, literally translated as “little cows” which are semi-soft milk toffee candies. They should be crispy on the outside but liquid and sticky inside. - Ptasie Mleczko - chocolate-covered candy filled with milk soufflé; literally translated as “birds’ milk” which is related to a Greek term signifying something unbelievably delicate. There are a few flavors available, but the most traditional one is cream or vanilla filling. - Prince Polo – a chocolate candy bar that was first launched onto the market in 1955. It consists of layers of wafer and layers of chocolate filling and it is covered with chocolate. - Any candy produced by E. Wedel, one of the most popular Polish confectionery companies dating back to 1851. You may go for Pawełek – a chocolate bar with cream filling and a bit of alcohol, Mieszanka Wedlowska – a selection of different candy, or Torcik Wedlowski – a circular, chocolate covered wafer with hand-made decorations.